Luke 24:13-35; Excerpt from “The Miracle of Mindfulness” by Thich Nhat Hahn. A number of years ago when Jim and I were first traveling together in the United States we sat under a tree and shared a tangerine. He began to talk about what we would be doing in the future. Whenever we thought about a project that seemed attractive or inspiring, Jim became so immersed in it that he literally forgot about what he was doing in the present. He popped the section of tangerine in his mouth and before he had begun chewing it, had another slice ready to pop into his mouth again. He was hardly aware he was eating a tangerine. All I had to say was “you ought to eat the tangerine section you’ve already taken.” Jim was startled into realizing what he was doing. It was as if he hadn’t been eating the tangerine at all. If he was eating anything, he was “eating” his future plans. Later when Jim went to prison for activities against the war, I was worried about whether he could endure the four walls of prison and sent him a very short letter: “Do you remember the tangerine we shared when we were together? Your being there is like the tangerine. Eat it and be one with it. Tomorrow it will be no more. You are looking through an old photo album and you come across a photograph of yourself when you were a child. You are standing in the kitchen. Can you believe you ever wore your hair like that? Remember how he used to run straight to the fridge and try to get his little paws on a popsicle before your mom noticed? You haven’t seen him in years! Now your eye moves away from the people in the photograph and you start looking at the kitchen. And the linoleum floor that was worn down over by the door. There’s your mom at the sink. She’s washing one of those bowls that you used to eat out of when you were a kid. The ones with the orange flowers on them. is etched into your memory. It’s like you could reach into the photograph, take that old bowl out of your mother’s hands, wipe it dry with the dishcloth (the one with the rooster on it) and put the bowl away in the cabinet above the kettle. That whole world is right there in front of you… captured in the old photograph. That old place was torn down decades ago. And Danny? Where is he now? Colorado? California? Something like that. Today’s gospel reading from the twenty fourth chapter of Luke tells a story that takes place after Christ’s death. It is fitting that we should consider a “resurrection” story this morning, because today, as you can see from the top of the bulletin – is the third Sunday of Easter. Since the Church calendar follows Christ’s life, the Sundays that follow Easter are the Sunday’s when we turn our minds to the events that took place after Easter – after Christ’s resurrection. The story is peculiar. I find it a little bit frustrating. Jesus encounters two men who are travelling on the road to Emmaus. One of the men is named Cleopas – we never learn the other man’s name. But they don’t recognize him. Jesus asks them what they have been talking about, and, in an almost comical twist, Cleopas actually launches into the story of Jesus’ own death and resurrection. Since Cleopas does not recognize Jesus, he finds it necessary to tell this stranger all about Jesus. You would think, at this point that Cleopas and his friend would recognize Jesus. Jesus admonishes them for their lack of faith. Then he interprets the scriptures for them. Maybe, at this point, Cleopas and his friend recognize Jesus? They still don’t recognize Jesus. This was on Martin Luther King Sunday, back in January, and I preached about a Librarian named Juliette Hampton Morgan who lived in Montgomery Alabama at the time of the Montgomery Bus Boycott. 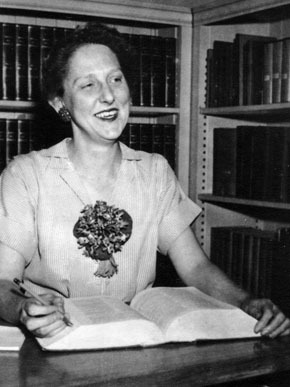 Juliette Hampton Morgan, you may recall, was a white lady who wrote to the local newspapers in support of the Montgomery Bus Boycott, and was rewarded for her moral courage with the universal scorn of her community. After months of abuse and harassment from the white community, Ms. Hampton took her own life. Juliette Hampton Morgan enjoyed all the privileges of a society that gave her privilege on the basis of the color of her skin. When, through the strength and courage of her morals, she gave up those privileges for the sake of a larger truth, she became something more. Her actions changed our understanding of her character, and we “re-knew” her. “Recognize” – I suggested – has a theological meaning. To “recognize” is to see the divine in someone. There are stories that tell about something by telling about that thing. The story of Juliette Morgan Hampton is this kind of story. We recognize her because we admire her moral courage. There are also stories that tell about something by telling about the lack of that thing. The story of the Road to Emmaus is the this kind of story. It tells about recognistion by telling about the lack of recognition. The story seems to ask us questions. Will we recognize him when we see him? How, dear friends, do we recognize Jesus? I would like, this morning to introduce a new dimension to this theological idea of recognition. Thus far, we have limited our understanding of “recognition” to the idea of re-knowing people. We re-know people like Juliette Hampton Morgan, when, through the force of their moral character, they do things like force the bus driver to stop and pick up the black people who were left standing on the side of the road. But is God’s creation limited to people? Is holiness limited to human life? Or is life itself holy? Is it not immediately clear to all of us, that the ecosystem itself – the entire, magnificent blue planet and the sun that we orbit, is holy and beautiful beyond all singing of it? And yet, we fail to see it! Our attention is attracted by shiny screens. We have to make it to work on time. We are worried about our credit score. Or, even worse, our spouse is right! There are a million ping-pong balls ricocheting around in our heads at any given moment, and each of those million ping-pong balls has the unfortunate effect of taking our attention away from the astonishing miracle that is constantly playing out before our very eyes. The unbelievably intricate and delicate conspiracy of light and photosynthesis, and oxygen and lungs, and rain and harvest, and ecology and biodiversity, all orbiting at precisely the right distance from that beautiful yellow ball of incandescent gas so that we – you and I – can have the incredibly improbable opportunity to take our next breath, open our eyes, and exist! We have eyes, but we don’t see it. We do not recognize it! The Modern reading, that Cynthia read for you, was written by the well-known Vietnamese Buddhist monk Thich Nhat Hahn. Thich Nhat Hahn tells us a story of his friend Jim who was sitting with him under a tree. Jim was eating a tangerine and talking about the future. The more excited Jim got about the future, the more rapidly he popped the pieces of tangerine into his mouth. This is a simple story, but it is a profound one. When was the last time you ate a tangerine? I submit to you, this morning, that the “Tangerine-of-future-plans” is a common Tangerine. It is by far the most common kind of Tangerine. But a “Tangerine of now” is a rare and wonderful tangerine. It is the holy tangerine. 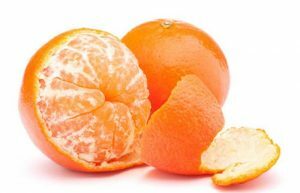 To eat the “Tangerine of now” is to “recognize” the tangerine. As we conclude our talk of old photographs and bus boycotts and tangerines, this morning, we ought to return to our risen savior, Jesus Christ, who is standing on the road with Cleopas and the other un-named traveler. Cleopas and his friend have reached their destination, but Jesus intends to continue walking. When he was at table with them, he took the bread and blessed, and broke it, and gave it to them. And their eyes were opened and they recognized him; and he vanished out of their sight. When did they recognize him? Did they recognize him when he burst forth in a fiery aura of wonder? Did they recognize him when an angel with a flaming sword descended upon them and proclaimed the risen lord? Did they recognize him when the sky was split asunder and a booming voice announced the presence of the Messiah? None of these displays of pyrotechnics were necessary. They recognized him when he did something quite normal. He broke bread and gave it to them. But is breaking bread really normal? This story is a story of recognition. Recognizing our savior in the breaking of the bread is like eating the tangerine-of-now.